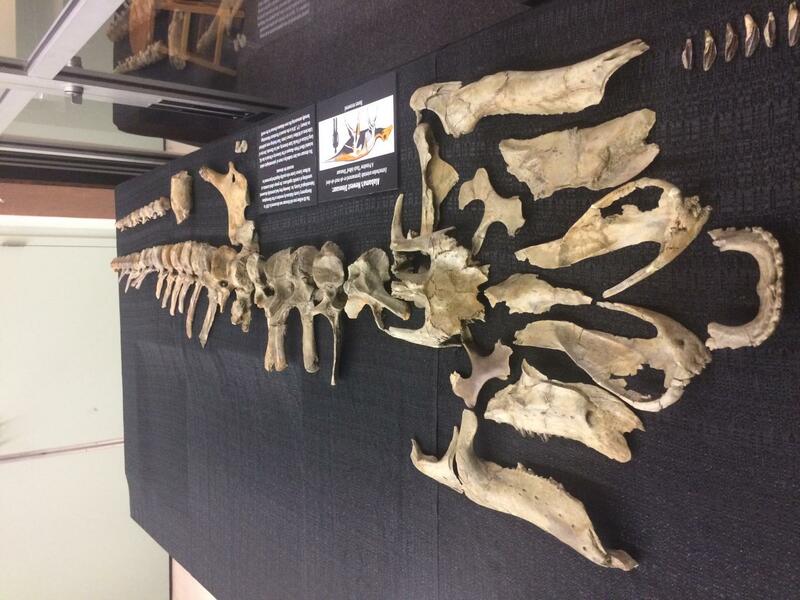 IMAGE: The remains of the dinosaur are on display in McWane Science Center. TALLAHASSEE, Fla. –An international team of researchers has identified and named a new species of dinosaur that is the most complete, primitive duck-billed dinosaur to ever be discovered in the eastern United States. "This is a really important animal in telling us how they came to be and how they spread all over the world," said Florida State University Professor of Biological Science Gregory Erickson, one of the researchers on the team. They named the new dinosaur Eotrachodon orientalis, which means "dawn rough tooth from the east." The name pays homage to "Trachodon," which was the first duck-billed dinosaur named in 1856. "This thing had a big ugly nose," Erickson said. It is one of the most complete dinosaur skeletons ever to be found in the eastern United States. Its teeth, which show this dinosaur's remarkable ability to grind up plants in a manner like cows or horses, were present in early hadrosaurids, allowing them to consume a wide variety of plants as the group radiated around the world. "For roughly 100 million years, the dinosaurs were not able to cross this barrier," Ebersole said. "The discovery of Eotrachodon suggests that duck-billed dinosaurs originated in Appalachia and dispersed to other parts of the world at some point after the seaway lowered, opening a land corridor to western North America." Added Erickson: "They just needed to get off the island. From there, they became the cows of the Cretaceous." The remains of Eotrachodon are housed at McWane Science Center in Birmingham and are currently on display in Ebersole's laboratory for the general public to view.